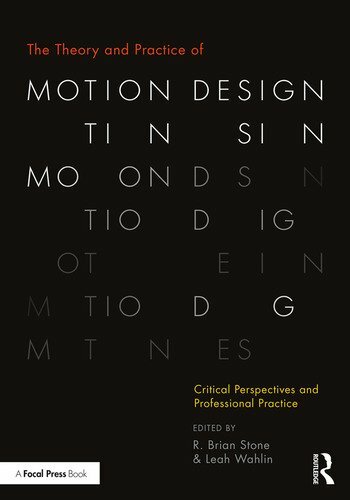 This collection offers an expansive, multiplatform exploration of the rapidly-expanding area of motion design and motion graphics, taking into account both theoretical questions and creative professional practice. Spanning interaction design, product interfaces, kinetic data visualizations, typography, TV and film title design, brand building, narrative storytelling, history, exhibits and environments, editors R. Brian Stone and Leah Wahlin offer an interdisciplinary range of academic essays and professional interviews that together form a dialogue between motion design theory and professional practice. Written for both those critically engaged with motion design as well as those working or aspiring to work professionally in the field, the book features a range of international contributors and interviews with some of the best-known designers in the field, including Kyle Cooper, Karin Fong, and Daniel Alenquer. The Theory and Practice of Motion Design seeks to illuminate the diverse, interdisciplinary field of motion design by offering a structured examination of how motion design has evolved, what forces define our current understanding and implementation of motion design, and how we can plan for and imagine the future of motion design as it unfolds. An accompanying online resource site, www.motionresource.com, contains visual representations of the examples described in the text. R. Brian Stone works in the area of motion design, interaction design, information visualization, and user experience, and is an Associate Professor of Design at The Ohio State University. His work has garnered numerous awards for design excellence, and he has held visiting appointments at the National University of Singapore, Escola Superior de Desenho Industrial in Brazil, and Universidad Americana Managua in Nicaragua. Leah Wahlin’s academic background in English literature and composition pedagogy is layered with professional experience in content development and project management. She brings her interest in the intersections of technology, design, and strategic communication to her role teaching technical and professional communications in the Department of Engineering Education at The Ohio State University. "A riveting collection of essays, providing the unique point of view of some of the most inspired members of our industry. Whether you are interested in the science or the practical aspects of this field, this book is certain to provide rare insight, education and inspiration." "R. Brian Stone and Leah Wahlin have produced the best book on designing for motion since Peter von Arx’s classic Film Design. Their new book The Theory and Practice of Motion Design should be required reading for anyone concerned with how words and information move on screen and how movement contributes to meaning." "Instead of a ‘how-to’ book, this is a ‘how-to-think-about’ book that delivers on its title, combining the history and intellectual underpinnings of motion design with the insights of contemporary design professionals…a thoughtful response to the profession’s shift from the mute flat-land of print to today’s rich, multi-dimensional options for communications."